Life is strange, you never know when your last words to someone will be. Take yesterday for example. Much of the afternoon I was on the phone with J. Guthrie going over his current assignment. He wowed me with a new late excuse, one I had not heard from him before. This one involved, "A dern big ole oak tree that had blownd down across his power lines and cut off his Internet." It was good to see he was being creative. I had already heard the "computer crashing" and "getting rained out of the range" excuses before. Laughing and satisfied I would have an article shortly we changed from business into two buddies talking about a hunt we had planned together. The last sentence he said to me was, "Roger that. 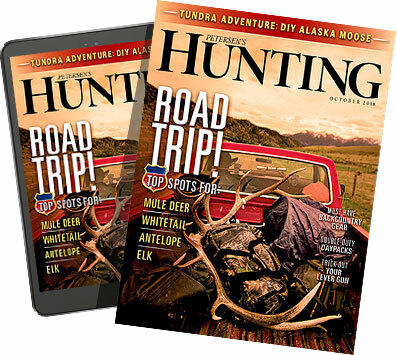 I'll have that article to you shortly and looking forward to hunting with you this fall..."
Then I received a call this morning at 7:01, from Chis Agnes, Publisher of Guns and Ammo, "I have horrible news. Guthrie died in his sleep last night." My first reaction was to hope beyond hope that it was misinformation. That someone got the message wrong, very wrong. That it was a bad joke. It wasn't. Then I realized, I had spoken to one of my best friends in this business for the last time. In today's age news spreads quickly. Message boards light up, texts stream in, and the phone rang nonstop. For awhile I just shut off everything and thought about Guth. He would have understood that. A product of our environment and times, he was forced into being constantly connected, but would have preferred sitting in some southern squirrel haunt with a flintlock in hand. He was an old-time, proud southener thrust into the wrong century. He truly was one of the best — as a hunter, rifleman, writer, television personality, woodsman and just a Hell of a guy. There was a certain something ingrained in him that so many people strive too hard to achieve and never really pull off. He just had that intangible "it" without ever trying. It wasn't created or an affectation, it was just who he was and he could no more change it than he could change his drawl. I guess the best way to describe him was; he was comfortable in his own skin. But it was more than that, he made everyone else feel more comfortable in theirs just by association. He had that rare knack of making complete strangers feel like they were life long friends. Interesting enough, most people he met turned out to be so. He had a trait about him that when you left him you wished you were a better, funnier, more engaging version of yourself. I could go on and on about his skill as a rifleman, his exploits as a hunter, the numerous things he did for us on a professional level, but that really doesn't do the man justice. That was just one aspect of him. The fact, and it is a fact, that he was one of the best writer this business has seen in long, long time did not go unnoticed by editors, readers and his fans. Writers, like lots of creative types are a catty bunch. A compliment isn't something freely given or thrown around. Guthrie was the exception. If you asked any outdoor writer who they respected, admired and really thought was talented, Guth's name more often than not was brought up. The cut of someone's character, in my opinion, is what is said about you when you are not around. Of all the hunting camps I have been in over the years, it is a very rare one where Guth's name and a damn funny story didn't come up. That's the kind of guy he was, and the kind we all want to be. One that people talk about, admire, look up to, respect and who generally make the world a funnier, more enjoyable place to inhabit. I have plenty of my own Guth stories, but for the timebeing, I think I will keep them that way. All I know right now is, I'm gonna miss that skinny, bent-cap-wearin', all-teeth-grinnin', flashlight-packin', swing-dancing sumbitch. And I'll bet he would be amused knowing he died owing me an article.